A member of the Afghan security forces is suspected of killing a soldier from the U.S.-led military coalition in western Afghanistan on Monday, in what appeared to be the second insider attack against coalition forces in less than a week. 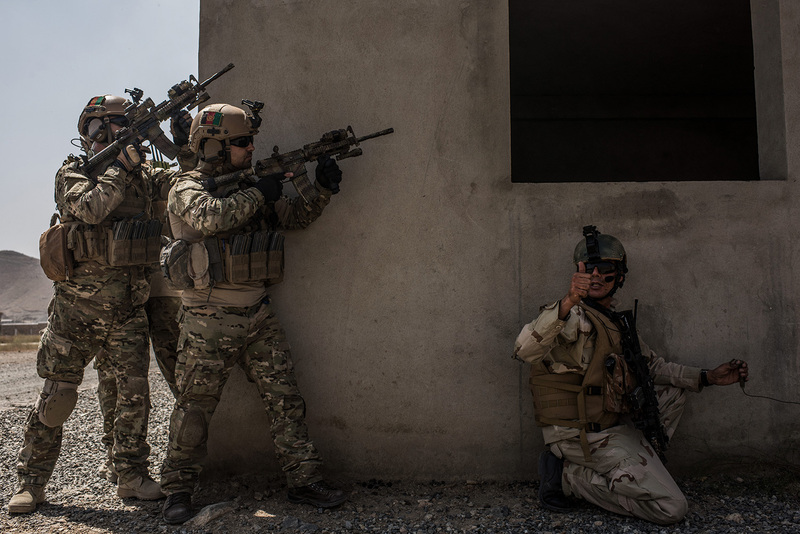 The attack in Herat province left one coalition member dead and two others wounded, according to Operation Resolute Support, the NATO training mission in Afghanistan. “Initial reports indicate the attack was committed by a member of the Afghan security forces,” Resolute Support said in a statement. It was not immediately clear if the NATO service member was American. NATO officials were withholding the names and nationalities of the victims pending notification to their governments. Afghan officials have not yet confirmed local reports that the attacker was an Afghan special operations forces commando who opened fire on NATO troops. Taliban spokesman Qari Yusuf Ahmadi said the assailant in Herat was a Taliban “infiltrator,” in a statement released Monday night local time, the Washington Post reported. That attack, which was also claimed by the Taliban, targeted a meeting between Afghan security officials and U.S. Army Gen. Austin Miller, the commander of U.S. forces in Afghanistan. Miller was unhurt in the assault, but Army Brig. Gen. Jeffrey D. Smiley and two other American personnel were injured. NATO forces in Afghanistan have experienced a spate of so-called “green-on-blue” attacks in recent months. Three NATO service members, including two Americans, have been killed by partner Afghan forces since August. Although insider attacks against U.S. troops have declined from their peak in 2012, they remain a significant threat to Afghan troops. There were 47 so-called “green-on-green” attacks against Afghan security forces by assailants from within their own ranks between Dec. 1, 2017, and May 31, according to the Pentagon. Over the same time period, there were no “green-on-blue” attacks against U.S. service members.